ESL Shipping started its operations in 1949. ESL Shipping started its operations in 1949. The founding of the shipping company was one of the first examples of Aspo’s ability to expand into new fields of business. As Aspo imported substantial amounts of coal and coke, it felt that operating its own ship would make financial sense. Soon, Aspo also offered reliable transport services to other customers. The first vessel, m/s Arkadia, was acquired in the summer of 1949. The fleet was enlarged steadily in step with the growing demand for transport. 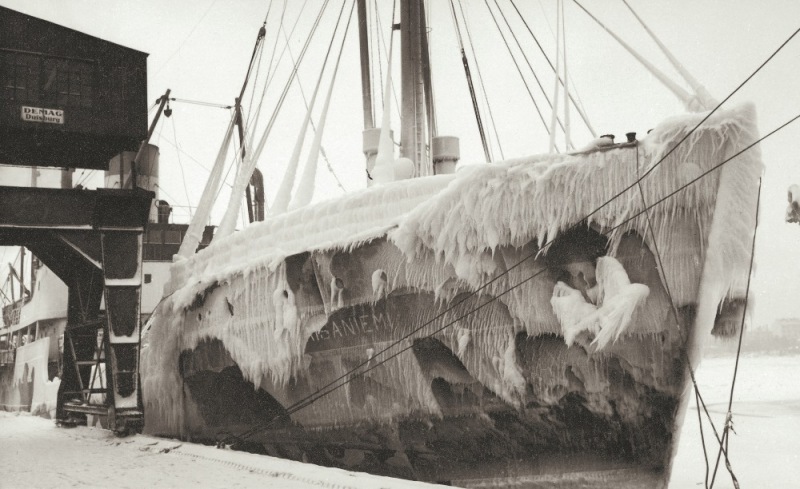 The ships were equipped to weather the demanding conditions of the Baltic Sea. Our longest customer relationships date back to our earliest years in the business. These partnerships were bolstered in the 1960s with the signing of numerous longer-term freight agreements. At that time, the energy industry was already one of our major customers and we also transported raw materials for the steel industry. We grew with our customers and the Baltic Sea became our established domestic market. Throughout our history, efficient operations and well-managed finances have been the hallmarks of ESL Shipping. This has enabled us to make it through challenging times, such as the recession years that hit on the heels of the oil crises. In fact, we have further strengthened our position in tough times. The first vessel of the company, Arkadia, was aquired in 1949. The first newbuilding of the company was Eira, delivered in 1958. ESL Shipping has a long track record of ship-to-ship operations at sea. Kontula and Alppila performed the first transshipment within Finnish waters in 1981. Do you have questions? Fill out Contact us form or call us.